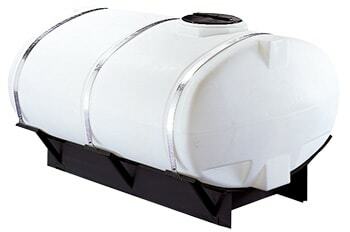 We offer applicator tanks ranging from 30 to 500 gallons. All of our applicator tanks are made from HDPE UV Stabilized plastic. 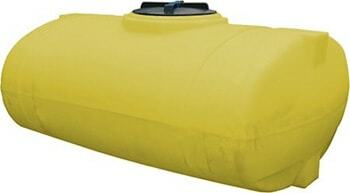 We offer our applicator tanks in yellow or white. All of our applicator tanks come with a lid and a drain fitting(s). We also offer steel saddles for all of our applicator tanks. Please contact our sales staff with questions or pricing. 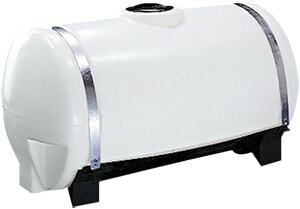 We offer elliptical tanks ranging from 150 to 1600 gallons. All of our elliptical tanks are made from HDPE UV Stabilized plastic. We offer our elliptical tanks in yellow, white, or black. All of our elliptical tanks come with a lid and a drain fitting(s). We also offer steel skids for all of our elliptical tanks. Please contact our sales staff with questions or pricing.